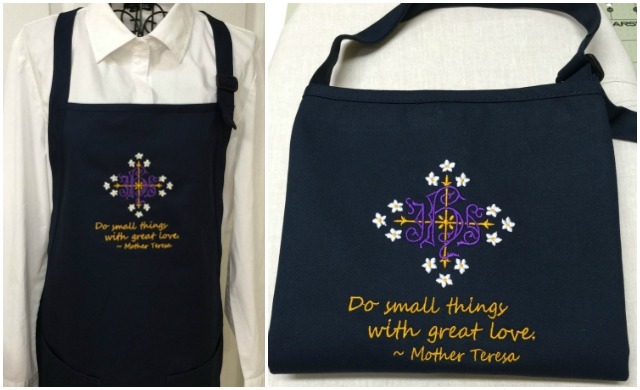 Navy Blue apron embroidered with IHS design and "Do small things with great love!" 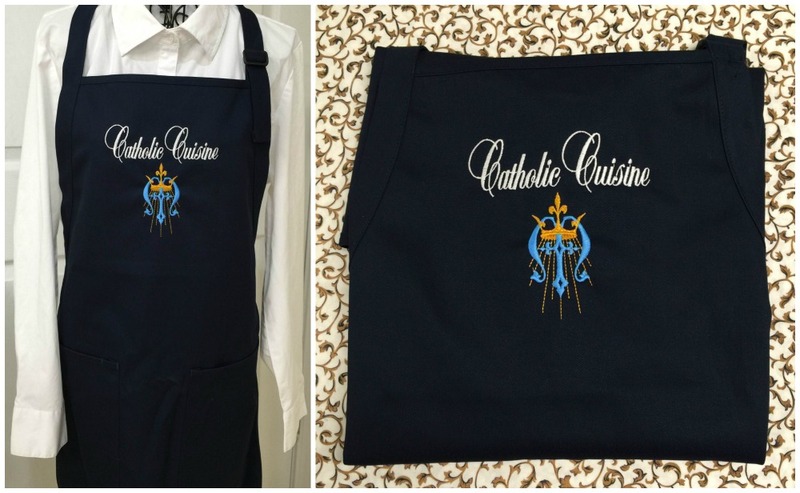 Show your devotion to St. Joseph with this gorgeous, embroidered apron! 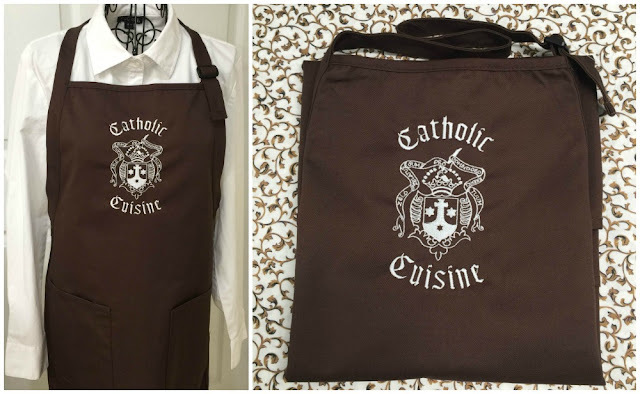 He surely helped Our Blessed Mother prepare many meals for their Divine Child! He likely swept his carpenter shop and tidied it daily. 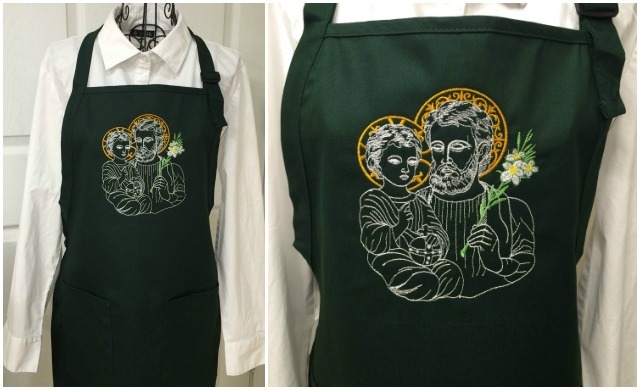 This lovely apron will remind you to beg St. Joseph's intercession while you go about your work. 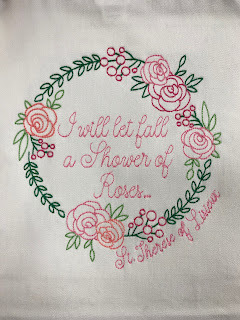 - and with Our Lady close to your heart! 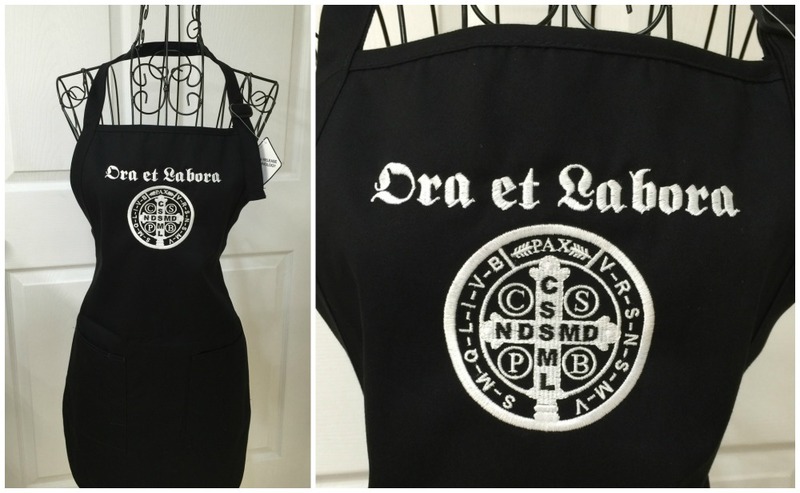 All of our aprons are embroidered, not screen printed, giving them a rich, elegant, look! 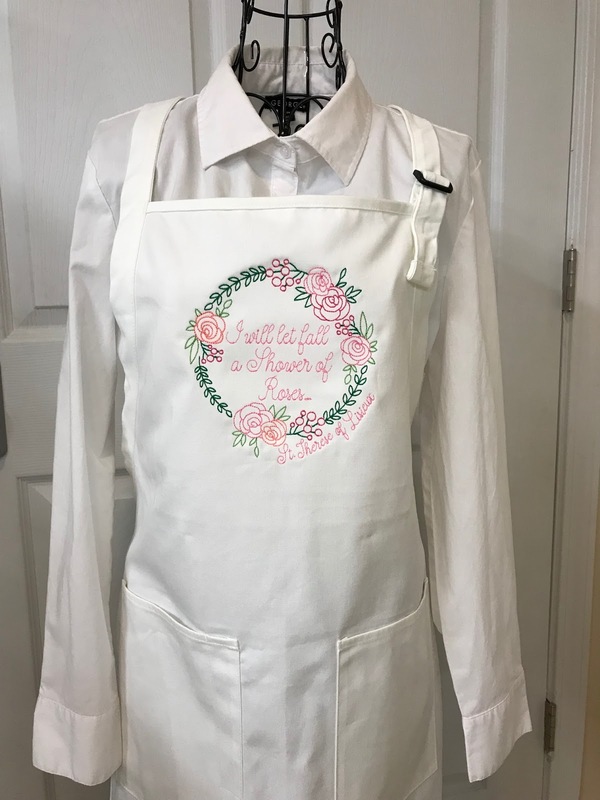 Our durable 100% cotton-twill aprons, with soil-release finish for added stain protection, provide ultimate full length cover and comfort. 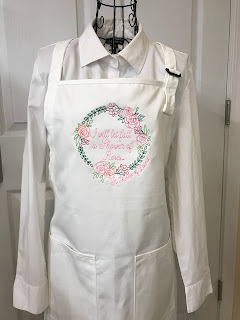 Designed with two large pockets and 1" wide neck and waist ties, with adjustable neck strap, they measure 22”W by 30”L. Note: All aprons are shipped directly from the supplier. 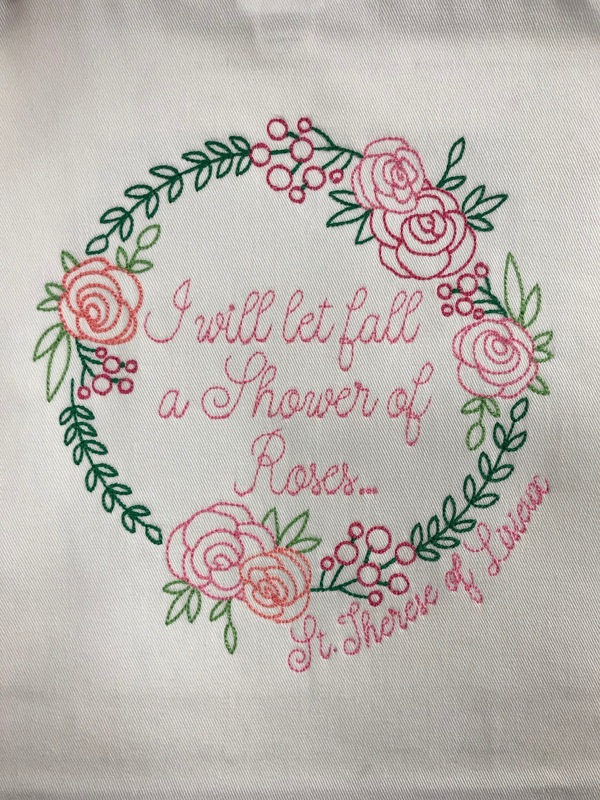 Thank you for your order!